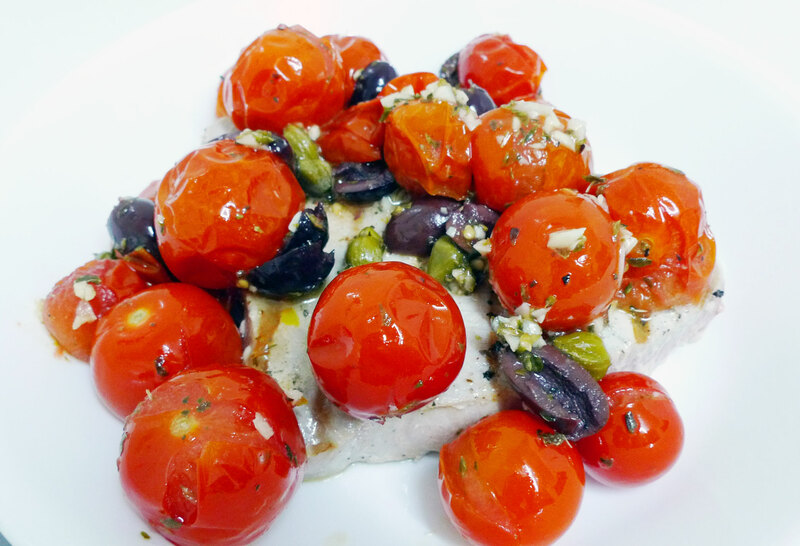 This is a Spanish fish recipe that I happened to copy off a book called Seasonal Spanish Food by Jose Pizzaro. 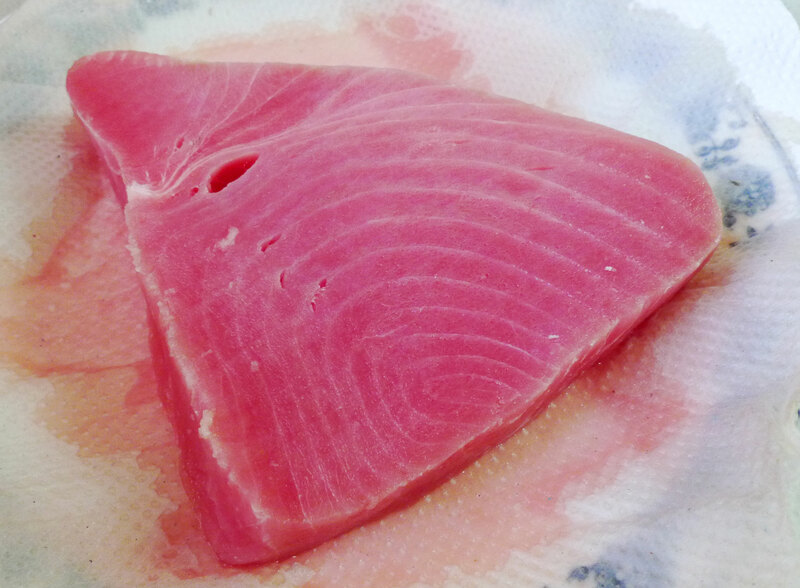 It starts with a tuna steak, which you don’t touch again until the end. 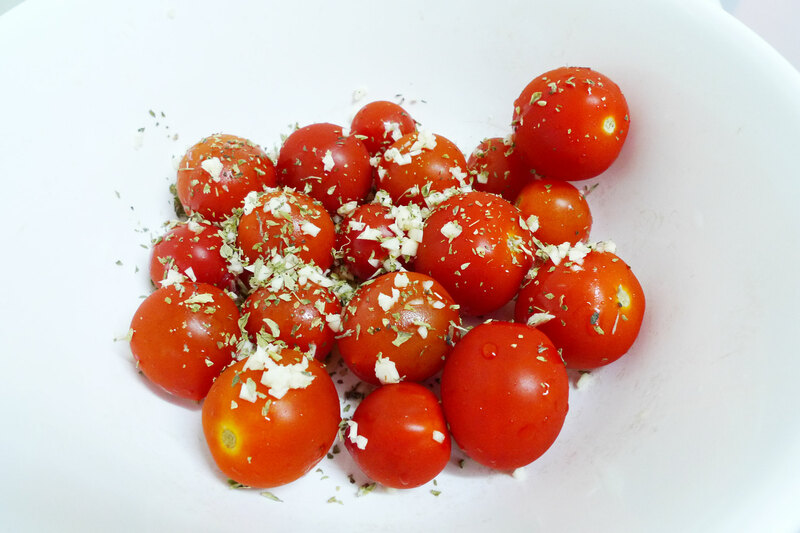 The other main ingredient is cherry tomatoes. Roast them in the oven until you see the skins become wrinkled. 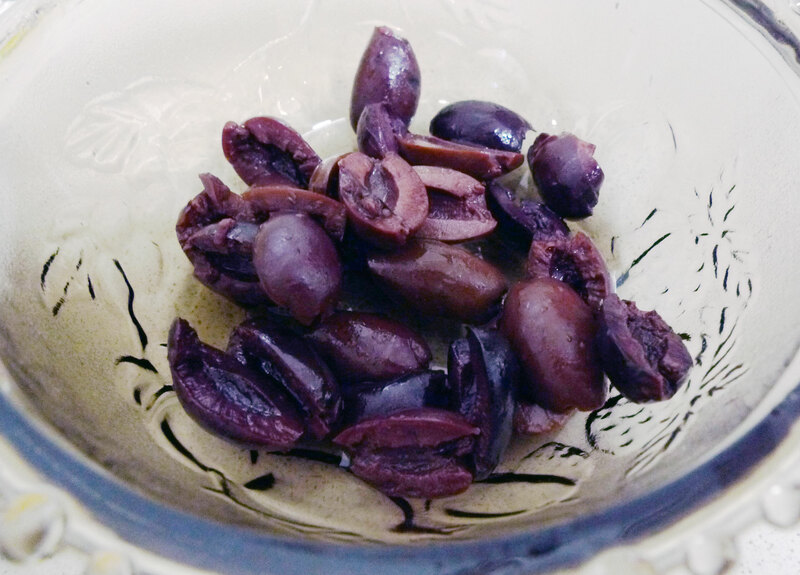 Prepare Kalamata olives while waiting. I also used capers which aren’t shown. 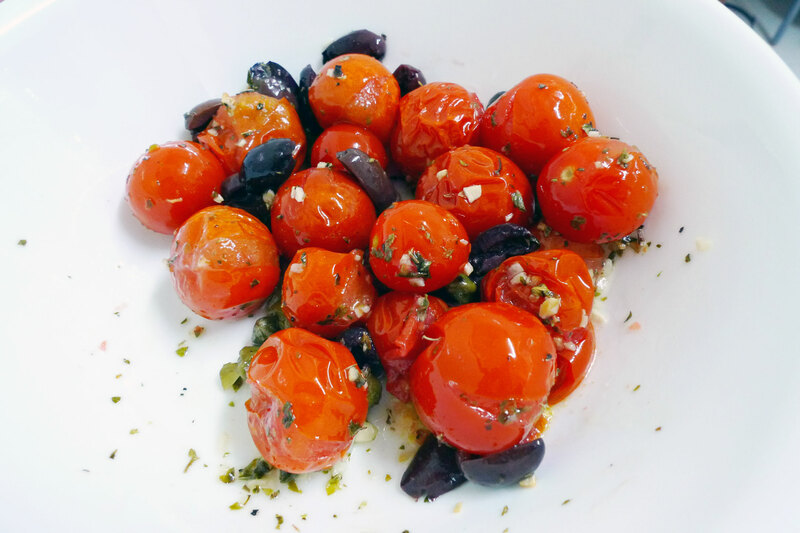 Finally when the tomatoes are ready, mix them with the olives and capers. 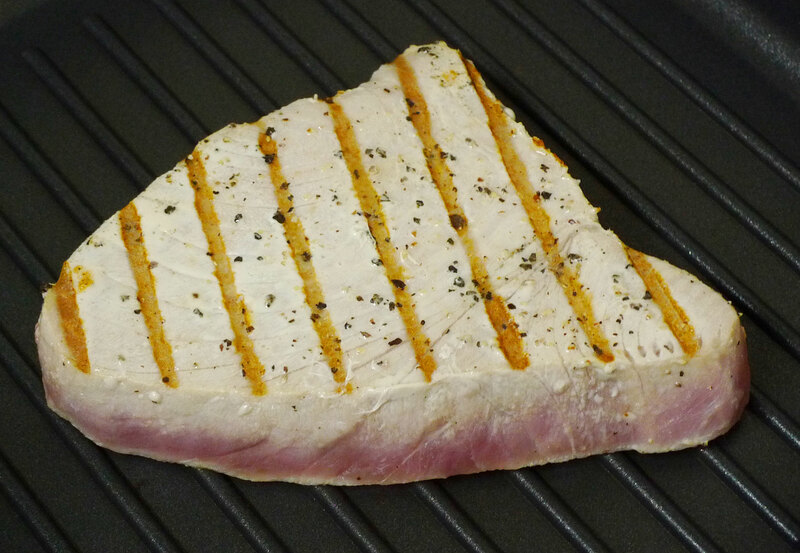 Quickly sear the tuna on a hot grill with some pepper and salt. 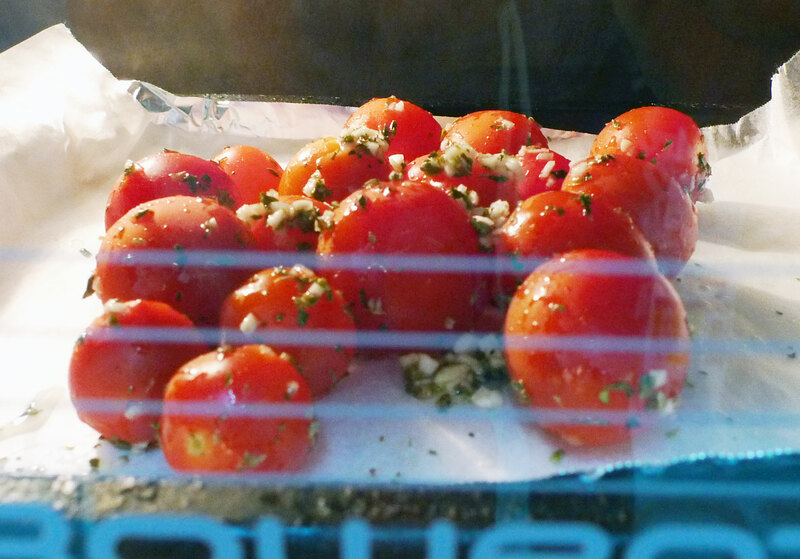 Once you’re done, just top off with the roasted cherry tomatoes! 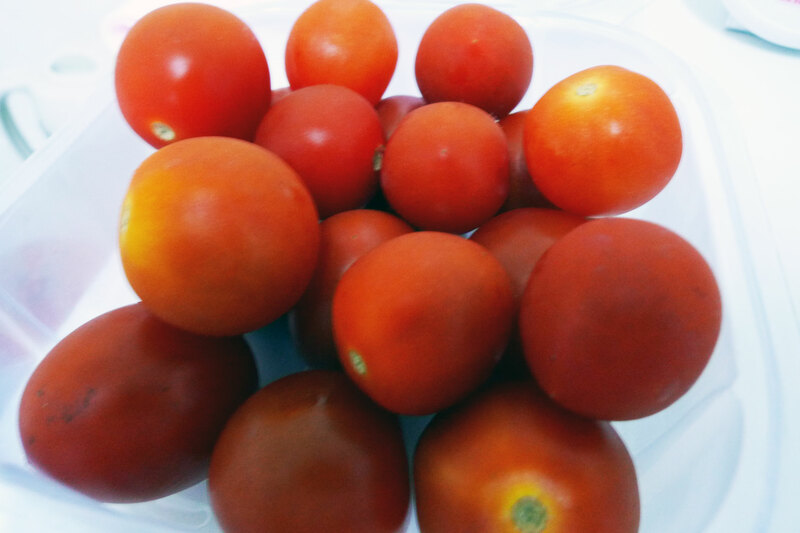 The taste of the cherry tomatoes explodes in your mouth with juice and all the subtle flavours. This complements the meatiness of the seared tuna nicely.